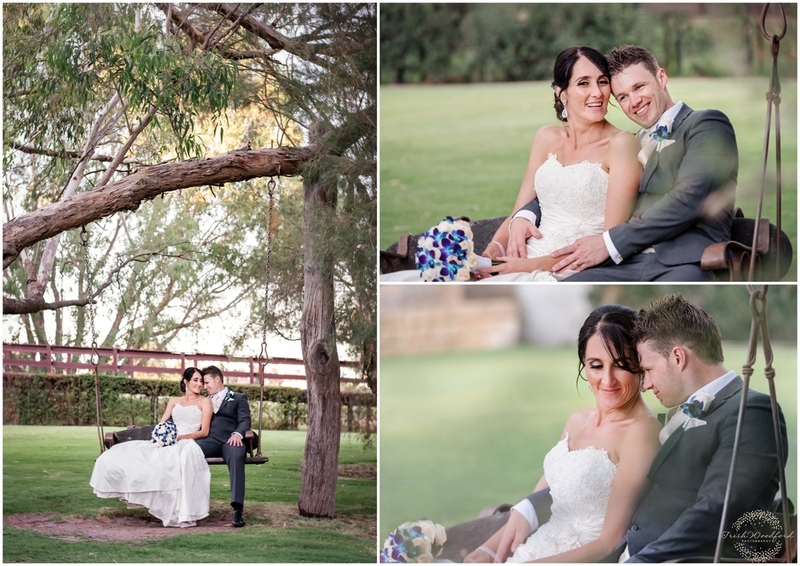 Caris & Josh's wedding day was wonderful, from the sunshine to the picturesque locations. The day started with Caris getting ready surrounded by her five lovely bridesmaids and her parents at the family property in the Swan Valley where she grew up. With Caris being a champion show horse rider, it was important that we headed out to the stables and captured some images with her 'other love', Chanel (who modelled beautifully). 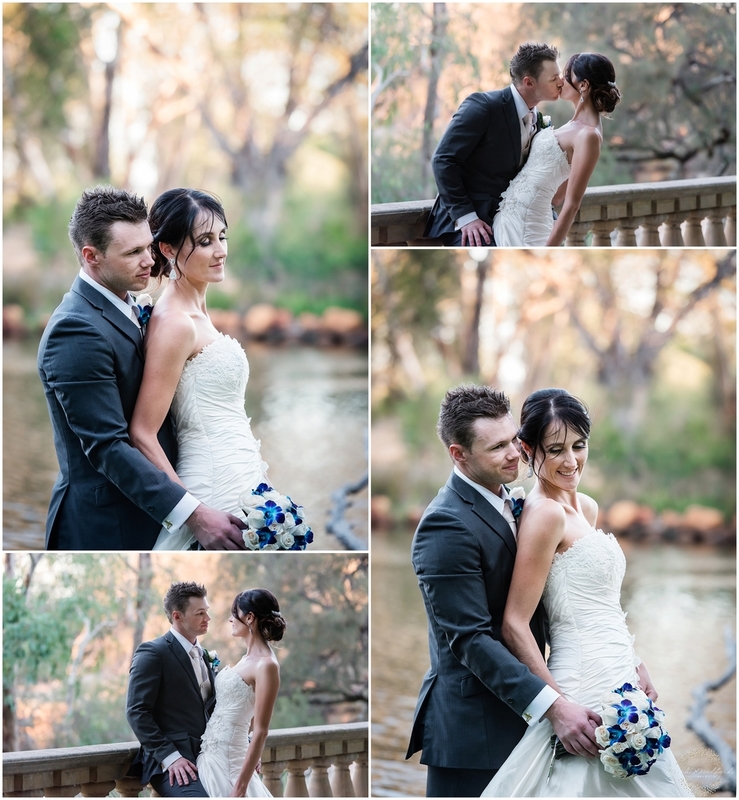 Caris looked stunning in her strapless gown and her bridesmaids wore a really lovely shade of blue. Meanwhile Josh and his boys were getting ready at 'The Vines Resort', making sure they fitted in a few hands of poker before getting dressed, looking very smart in their grey suits. 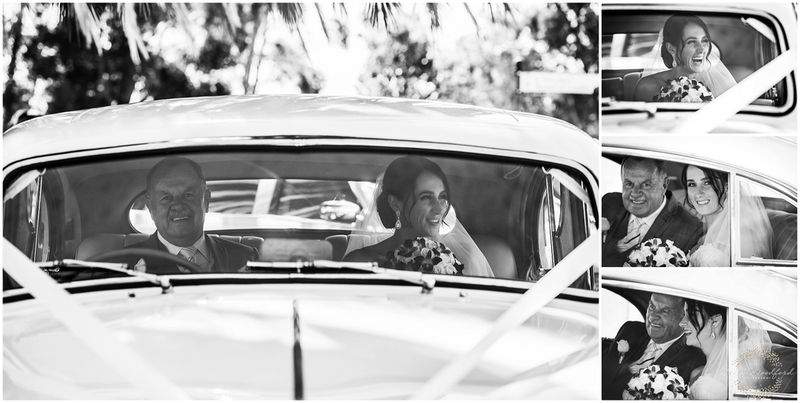 When it was time for the vows everyone headed to Saint Matthews Anglican church in Guildford where Caris & her Dad arrived in style in a white Jaguar. After congratulations & Family Formals outside the church we quickly headed back to the family home to make sure we got a photograph or two of Josh & Caris with the family dog 'Charlotte' who posed perfectly! 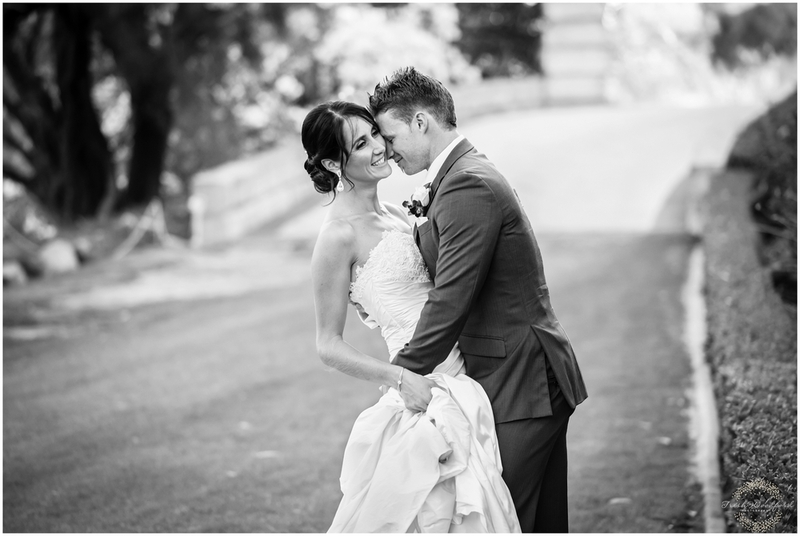 Creative Bridal Party Photos were taken in the picturesque Hidden Gardens at Caversham Park with the reception following in the Main Reception Room which was stunningly styled. 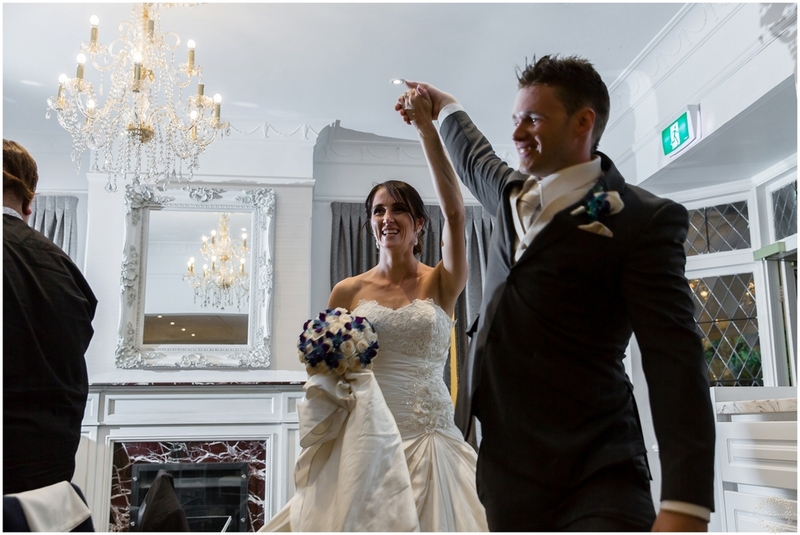 I loved the huge chandeliers and the gorgeous 'blingy' cake topper! You couldn't have asked for a more pefect day....the Bride & Groom and Bridal Party looked amazing and were so lovely to work with. 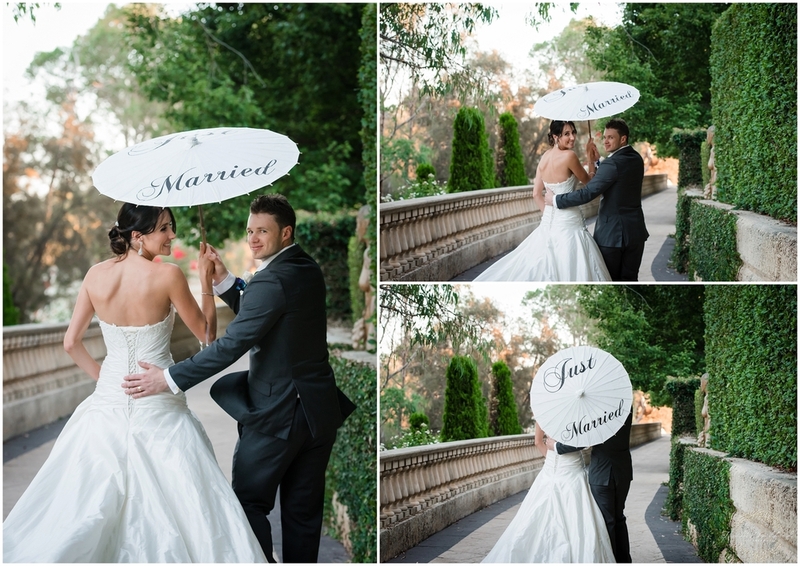 Congrats Caris & Josh, we wish you every happiness for a wonderful future together and hope that these images bring back wonderful memories for you!